This book is a collection of some 400 physics problems, with hints on their solutions, and answers. 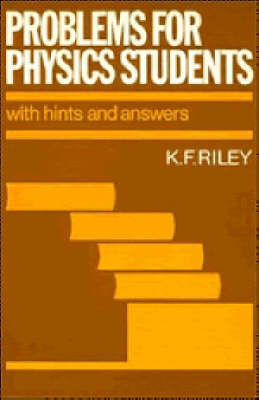 The physics covered encompasses all areas studies by final-year (advanced level) students in schools and high schools. The author has concentrated on presenting interesting (and to some extent unusual) problems which can be solved using the physical principles normally taught in advanced school courses. By working through the questions, the student will become adept at selecting and applying physical principles appropriate to any particular problem. Problems for Physics Students will provide stimulation and practical help not only for those preparing for pre-university examinations in physics, but also for first-year physics and engineering students studying at universities and other institutions offering first-degree courses. Teachers of physics will find this an invaluable sourcebook for ideas to generate discussion, and for unusual problems to stimulate interest.